Two York researchers have received funding to the tune of $2.16 million from the Canadian Institute for Health Research (CIHR). Michaela Hynie and Jonathan Weiss, both from the Department of Psychology in the Faculty of Health, were selected in the latest round of CIHR funding decisions to receive grants of $1,353,165 and $810,371, respectively. Professors Hynie and Weiss were the only York researchers to receive funding in this round. "York is delighted and grateful to receive this research support from the CIHR, and I wish to congratulate Dr. Hynie and Dr. Weiss on their success and look forward to the results of their projects," said Robert Haché, vice-president, Research and Innovation. 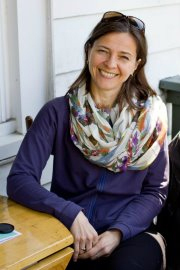 Hynie’s research project, “Refugee integration and long-term health outcomes in Canada”, will compare how government-assisted refugee (GAR) and private-sponsored refugee (PAR) resettlement programs support long-term social integration pathways for refugees and the impact of these pathways on physical and mental health. Research will take place over a five-year period. Resettled refugees have poorer health than host populations, and studies show that social integration affects wellness; however, there is a lack of research examining how the experiences of settlement and integration contribute to the long-term health of refugees. Weiss will spend the next five years on his study “Cognitive Behaviour Therapy for Mental Health Problems in Children with Neurodevelopmental Disorders: A Transdiagnostic Approach”. “Mental health problems are a serious set of issues for youth with neurodevelopmental disorders (NDD), a term that refers to children diagnosed with autism spectrum disorder, fetal alcohol spectrum disorder, cerebral palsy, learning disabilities or attention deficit hyperactivity disorder (ADHD),” said Weiss. These conditions, he said, are estimated to affect 16 per cent of children, and between 40 and 70 per cent of children with NDD have serious mental health problems, like anxiety or depression, and evidence-based treatments are needed. His study will examine whether a parent involved cognitive behavioural intervention improves the emotion regulation abilities and decreases emotional and behavioural problems in children with NDD in children 8 to 12 years old. 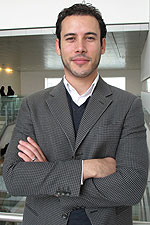 This research stands to result in major system change, enabling the delivery of evidence-based treatments for mental health problems in youth who are often excluded from receiving mental health care as a result of their complex socio-communicative and cognitive profiles, yet who are the most vulnerable to mental health problems to begin with, said Weiss.